Good afternoon, everyone! 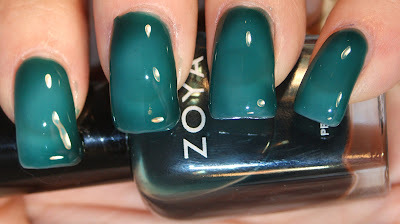 I'm very happy to bring you the Zoya Gloss Collection and some fun jelly sandwiches. So without further adieu, let's get down to the polish! From left to right: Katharine (from the Peter Som Collection), Paloma, and Frida! 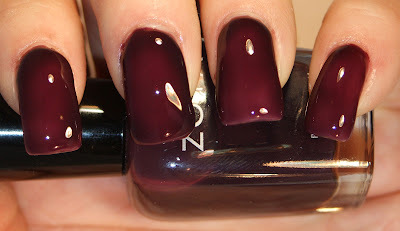 Katharine is a mulberry jelly polish with an absolutely gorgeous sheen. The polish applied like an absolute dream and I think this is an improved formula from when it was released in the Peter Som trio. My problem with that formula was that it was watery and took 6 coats to be opaque. The photo above is three coats. 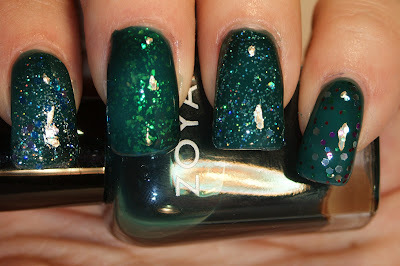 So BIG improvement... kudos, Zoya fairies! Next is my favorite of the bunch, Paloma! Paloma is a juicy magenta jelly polish that is my favorite of the three. It just reminds me of a juicy cocktail with berries... and dear God, I'm dying for a good happy hour. This is three coats. Last is Frida, which I believe is the most unique of the collection. A teal jelly nail polish? Fabulous! The only downside to Frida is that she really needs 4-5 coats to be opaque. Above was three coats and you can still see VNL, so I probably required at least one more. Knowing that, I just HAD to throw some sparkle on it! For those of you who are new to the concept of jelly sandwiches, it is when you take jelly nail polish and alternate it with layers of sparkles/glitter/flakies. Above is how I started for my Frida sandwich. From left to right: NYC Starry Silver Glitter, Zoya Maisie, OPI Servin up Sparkle, and Wet n Wild Party of Five Glitters. Here are the glitters with a single coat of Frida back over them. I loved how they look almost underwater, especially the Starry Silver Glitter and Servin Up Sparkle with the hex glitters. LOVE. Just LOVE. Overall, I really liked Paloma and Frida, as well as the formula improvement of Katharine. I wore Paloma for a week with very little wear or tear. The only issue with the formula I had was that I needed to wait about 20 minutes between coats to avoid dragging or pooling. Waiting was SO hard while working on the Frida jelly sandwich! 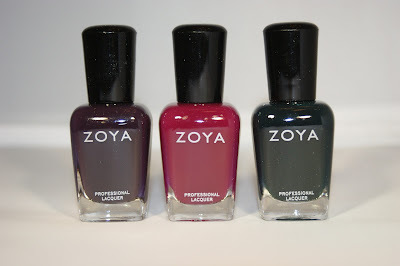 The Gloss Collection is available at Zoya.com for $8 a bottle, BUT if you buy the trio today, you can get three more polishes for free and free shipping! 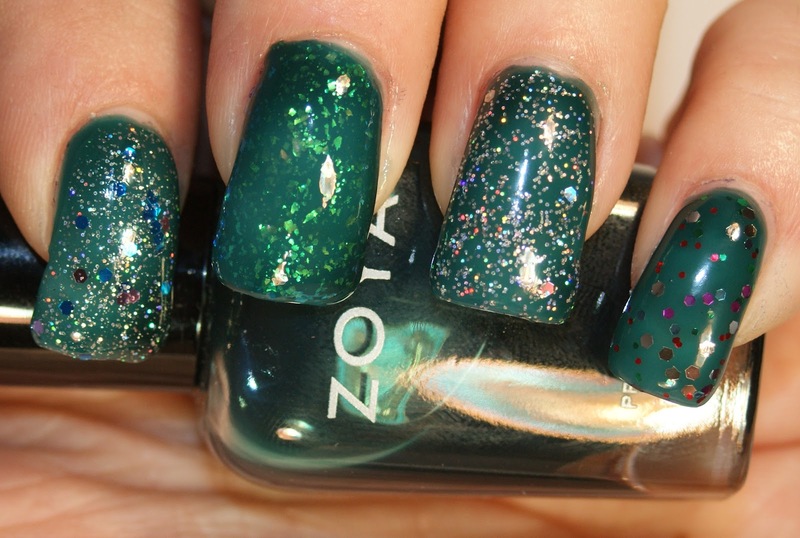 You can also buy one polish and get one free up to three free (ie B1G1, B2G2, B3B3). You will have a personalized code in the "my account" section under Promotions and Codes that you can apply to your order at the end.